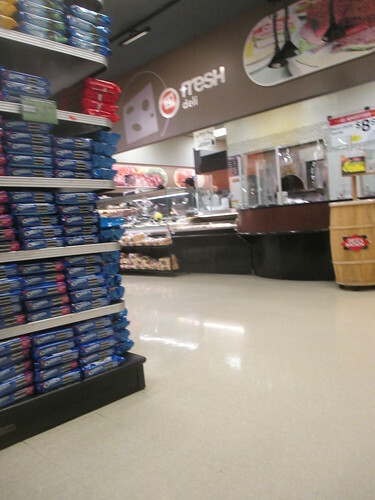 This Superfresh store opened in the 1980's, and had the same decor package until 2008, when receiving a very large and deluxe Fresh 3.0 remodel. Acme did nothing to the building outside, but renovated the store completely inside to their new "Quality Built" look, with their faux-wood floors and black shelving. 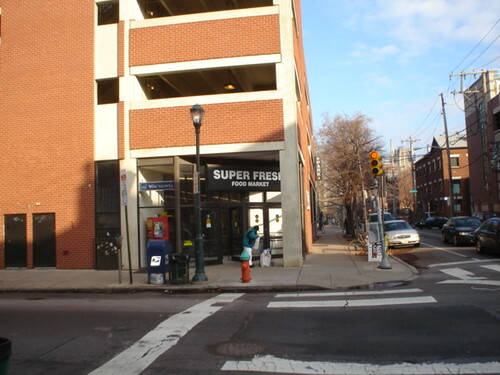 Fresh Deli still looking pretty fresh when days later Acme would arrive. 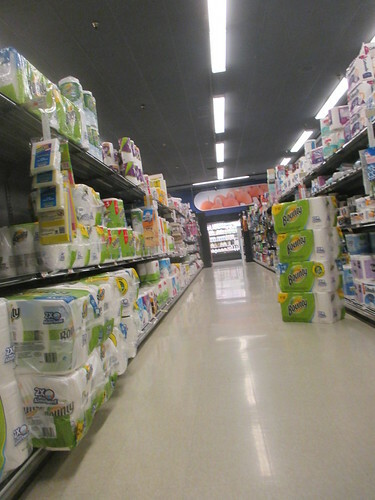 Paper towel aisle? 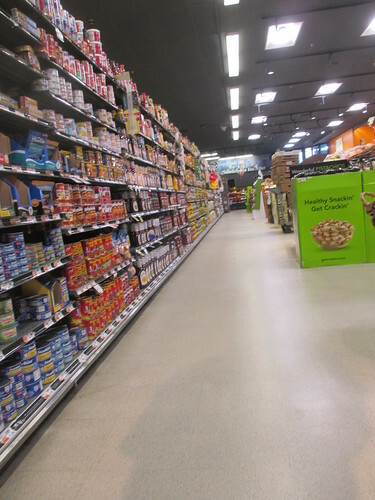 This store, only having around 10-12 aisles, has a wide variety of products for only around 15,000 sq. 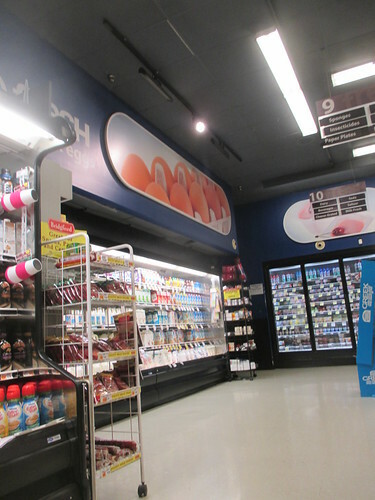 ft.
Look across the front end. Pure clutter! Why can stores never keep their checkouts void of any sale products? 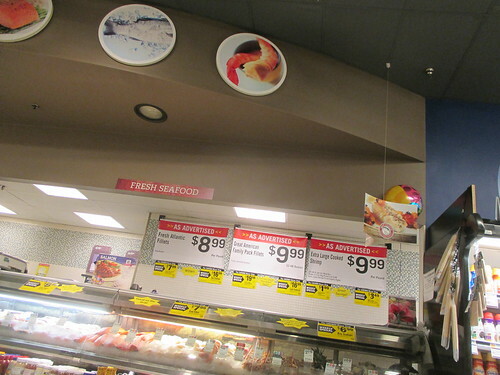 Fresh meat and seafood alcove. 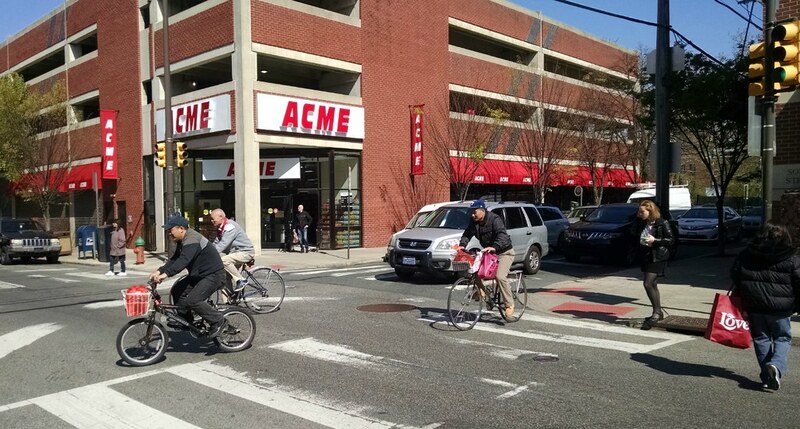 Acme could have easily retrofitted this store with their Premium Fresh & Healthy decor, if they still used it. A grand aisle? 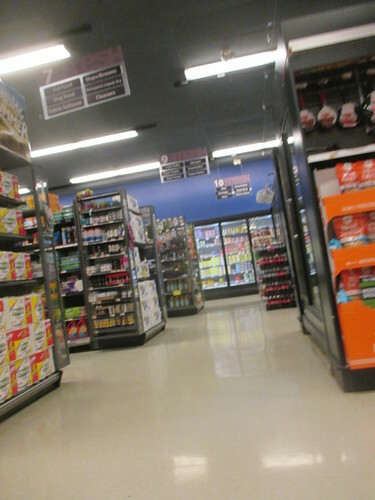 This aisle actually runs with the checkouts along the front end, being at the right. Fresh dairy? Colors have to be off here... Why blue for dairy? The world may never know. 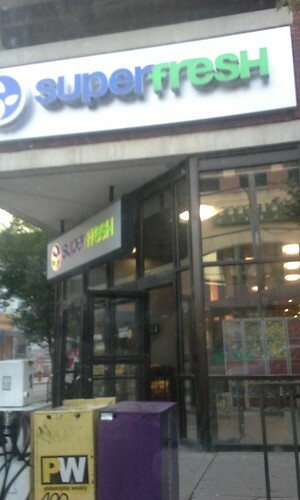 To end it all, let's have a look at the original, classic Superfresh prior to the remodel!